new OpenPOWER-based solutions designed to improve performance for modern, new workloads including artificial intelligence, deep learning, accelerated analytics and high performance computing. 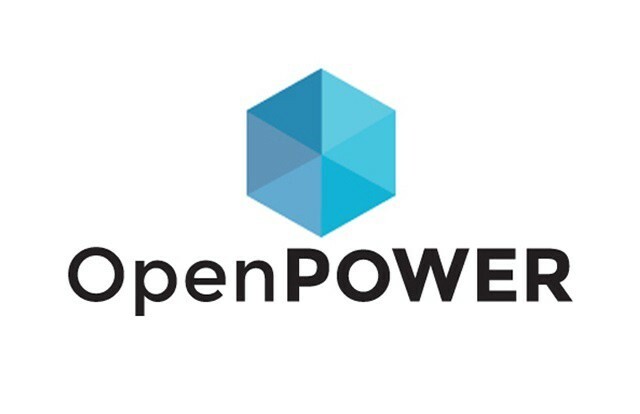 The OpenPOWER Foundation is a global technology development community with more than 270 members worldwide supporting new product design, development and implementation on top of the high performing, open POWER processor. Many of the OpenPOWER-based technologies developed by OpenPOWER members in Europe are being used to help meet the unique needs of corporations running some of the largest data centers in the world and by researchers exploring high performance computing solutions to help solve some of the world’s greatest challenges. FRANCE — GENCI (Grand Equipement National pour le Calcul Intensif), France’s large national research facility for high performance computing, has launched a technology watch collaborative initiative to prepare French scientific communities to the challenges of exascale, and to anticipate novel architectures for future procurements of Tier1 and Tier0 in France. OpenPOWER technology has been identified as one of the leading architectures within this initiative. GERMANY — In support of the Human Brain Project, a research project funded by the European Commission to advance understanding of the human brain, OpenPOWER members IBM, NVIDIA and the Juelich Supercomputing Centre delivered a pilot system as part of the Pre-Commercial Procurement process. Called JURON, the new supercomputer leverages IBM’s new Power S822LC for High Performance Computing system which features unique CPU-to-GPU NVIDIA NVLink technology. As part of the system installation, the OpenPOWER members delivered to the Human Brain Project a set of key and unique research assets such as Direct Storage Class Memory Access, flexible Platform LSF extensions that allow dynamic job resizing, as well as a port of workhorse Neuroscience codes on the new OpenPOWER-based architecture. The Barcelona Supercomputing Center (BSC) announced it is using OpenPOWER technology for work underway at the IBM-BSC Deep Learning Center. At the joint center, IBM and BSC scientists are developing new algorithms to improve and expand the cognitive capabilities of deep learning systems. SWITZERLAND — IBM Research Zurich joined forces with the Juelich Supercomputing Center and formed a consortium to suggest an Exascale platform for the related EU FETHPC call. The consortium includes key PRACE HPC centers such as BSC and CINECA, key European institutions such as ECMWF, ASTRON, as well technology providers NVIDIA and E4. The consortium is enhanced by top academics from across the continent, including researchers from ETH Zurich, Queens University Belfast, Johannes Kepler Universität Linz, INFN, Universita di Bologna. TURKEY — SC3 Electronics, a leading cloud supercomputing center in Turkey, announced the company is creating the largest HPC cluster in the Middle East and North Africa region based on one of IBM’s new OpenPOWER LC servers — the Power S822LC for High Performance Computing — which takes advantage of NVIDIA NVLink technology and the latest NVIDIA GPUs. According to SC3 Executive Vice President Emre Bilgi, this is an important milestone for Turkey’s journey into HPC leadership. Once installed, the cluster will be deployed internally and will also support new cloud services planned to be available by the end of the year. These deployments come as OpenPOWER innovations around accelerated computing, storage, and networking via the high-speed interfaces of NVIDIA NVLink and the newly formed open standard OpenCAPI, gain adoption in the datacenter. New European developer cloud — In a significant expansion of developer resources, members of the OpenPOWER Foundation in collaboration with the Technical University of Munich at the Department of Informatics announced plans to launch the European arm of the development and research cloud called Supervessel. First launched in China, Supervessel is the cloud platform built on top of POWER’s open architecture and technologies. It aims to provide the open remote access for all the ecosystem developers and university students. With the importance of data sovereignty in Europe, this installment of Supervessel will enable students and developers to innovate applications on the OpenPOWER platform locally, enabling individuals to create new technology while following local data regulations. Supervessel Europe is expected to launch before the end of 2016. CAPI SNAP Framework — Developed by European and North American based OpenPOWER members IBM, Xilinx, Reconfigure.io, Eideticom, Rackspace, Alpha Data and Nallatech, the CAPI SNAP Framework is available in beta to developers worldwide. It is designed to make FPGA acceleration technology from the OpenPOWER Foundation easier to implement and more accessible to the developer community. OpenPOWER READY FPGA Accelerator Boards — Alpha Data, a United Kingdom and North American based leading supplier of high-performance FPGA solutions, showcased a line of low latency, low power, OpenPOWER READY compliant FPGA accelerator boards. The production-ready PCIe accelerator boards are intended for datacenter applications requiring high-throughput processing and software acceleration. Scaling Up and Out a Bioinformatics Algorithm: Delft University of Technology advances precision medicine by scaling up and out on OpenPOWER.